In a major setback to former revenue minister of Maharashtra and senior BJP leader Eknath Khadse, the state's chief minister Devendra Fadnavis on Friday said that the FIR filed against him will continue. Fadnavis also said that the judicial committee probing the allegations against Khadse has now become irrelevant after the Bombay High Court instructed the ACB to file an FIR in the matter. Khadse had hoped that he would get a clean chit from the committee. 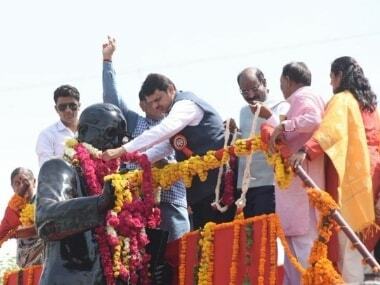 But after Fadnavis' statement in the Assembly, the investigation against the veteran leader will continue. The ongoing ACB investigation—which is expected to take some time—will delay Khadse's return to the state cabinet. The former revenue minister was the second seniormost cabinet minister. He had resigned as a minister in June 2016. 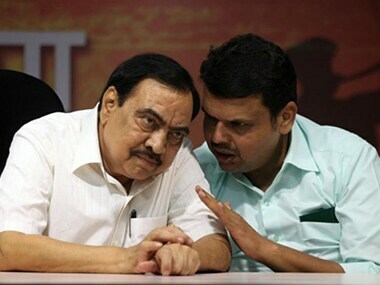 In fact, in the present circumstances, Khadse's chances of returning to the cabinet are slim. The Fadnavis-led government will complete its tenure in October 2019. Social activist Anjali Damania and others had filed a public interest litigation (PIL), alleging that Khadse and his relatives have assets disproportionate to their known sources of income. On the last day of the winter session of the Assembly in Nagpur, former chief minister and Congress senior leader Prithviraj Chavan raised the issue of ongoing investigations against several ministers of the BJP and the Shiv Sena, including Eknath Khadse, housing minister Prakash Mehta and industry minister Subhash Desai. Replying to Chavan's question, Fadnavis on the floor of House said, "After allegations against Khadse , we set up an inquiry committee of retired judge DS Zoting. Later, a case was filed in the Bombay High Court. During the hearings, we requested the court to let us complete the inquiry, after which subsequent action can be initiated. The High Court did not accept our contention and asked us to file an FIR against Khadse. Subsequently, the enquiry committee has no relevance. The investigation in the case is going on." The DS Zoting committee, which is looking into allegations of land grabbing against former revenue minister Eknath Khadse, had submitted its report to the state government on 4 July. The recommendations of the report were not made public; but it was perceived that the report had given a clean chit to Khadse. The one-man committee was appointed on 23 June, 2015 by Fadnavis following allegations by the opposition that a plot of land of MIDC in Pune located at Bhosari was transferred in the name of Khadse’s wife (Mandakini). Khadse was accused of having a clear conflict of interest as he had exercised his quasi-judicial powers to clear the land transfer. BJP leader and housing minister Prakash Mehta and Shiv Sena leader and Industries Minister Subhash Desai are also facing allegations of corruption. In the case of Prakash Mehta, the Lokayukta has found the housing minister’s approval to a proposal of the slum rehabilitation authority (SRA) to be improper. The Lokayukta has held that the housing minister should have rejected the proposal. 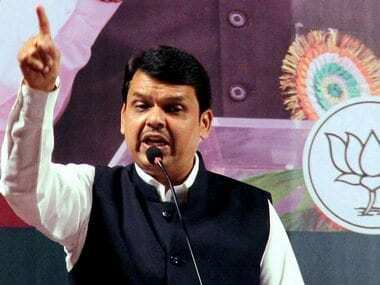 On this issue, Fadnavis said on Friday, "The Lokayukta in his primary report has decided what aspects are to be probed. He has given a chance for Mehta to make his statement. The inquiry is going on." The Maharashtra government on 28 August had set up a one-man committee under retired bureaucrat KP Bakshi to inquire into graft allegations against industries minister Subhash Desai with regard to the denotification of industrial land in the Nasik MIDC area. On this issue, Fadnavis said, "I have received a letter from the chief of the committee stating the inquiry is at the last stage. It will submitted within the next 15 days to the state government." Ousted minister Eknath Khadse targeted his party's ministers on various issues during the winter session, inviting approval from the opposition benches by thumping of desks. Khadse flayed the government on just about every issue, right from agriculture pumps to shortage of veterinary doctors to land acquisition and the bollworm attack, while accusing its ministers of being negligent. A couple of days after he openly attacked the government, BJP leader Eknath Khadse on Wednesday skipped the Rashtriya Swayamsevak Sangh’s yearly workshop in Nagpur for BJP legislators, fuelling speculations in the media about his future course of action. Speaking to Firstpost, Khadse said, "For the last three to four days, I have been experiencing excruciating pain in my hip joint. I am not even able to walk properly. Because of this, I could not go to this workshop." Khadse’s absence from the RSS workshop led to many eyebrows being raised, and led to speculation with how he was treated by the BJP. 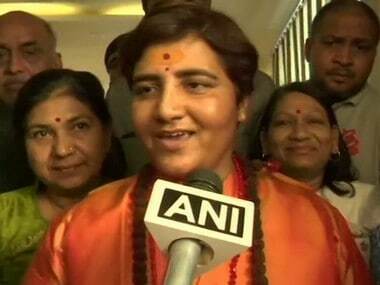 "I have been working for the BJP, since the time the party was far away from political power. I promoted many youngsters who are important leaders now. 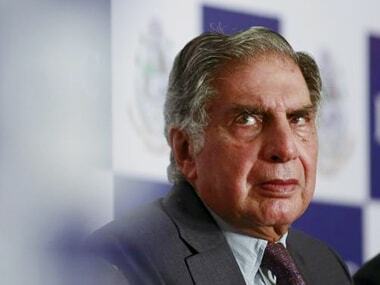 It is painful for me that allegations are being made against me these days without any evidence," he said. A close aide of Khadse said that there are serious allegations against many ministers of the government, but they continue to be in the cabinet. "In the last 18 months, many agencies investigated the Bhosari land case in which Khadse is alleged to be involved, as also charges of disproportionate assets. However, no evidence has come out till date. This is a painful state of affairs for the people who work for the BJP in the true spirit."